Self Drive Hire Insurance is suitable for businesses, companies or individuals running vehicle hire services, whereby they hire out their selection of vehicles to members of the public. 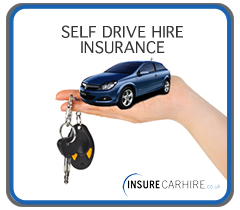 The Self Drive Hire Insurance is specifically related to the period of hire. The individual hire premium is based on that period and the hirer and any other individuals required to drive during the hire period. This Self Drive Hire Insurance cover is different from a Motor Traders policy, which is a separate type of cover that insures the vehicles whilst not being hired out. Generally, a vehicle hire business will have both insurance covers in place, to cover their vehicles when they are out on hire, and also to cover them when they are not in use. If you would like to apply for an account to enable your business to use the INSURECARHIRE facility, please complete and submit our Quotation Request form. It is important to remember that the vehicles are your responsibility and all relevant checks should be done prior to handing the vehicle over to a hirer. Licences can be checked and verified, through relevant services, as well as checks on the individuals, confirming addresses and identity. With INSURECARHIRE, we believe it is more beneficial to the self drive hire company to be charged small amounts relevant to the hire periods and the assessed risk of the driver hiring the vehicle, rather than charging one bulk sum for an annual policy. This way, the more the vehicles that are out on hire, the more you pay for your insurance. If business has been quiet for a period, the insurance costs will be reflected by this also. INSURECARHIRE is an online trading facility for vehicle rental businesses - which means you only require access to the internet and a printer in order to run your business. You do not require any software, downloads or expensive computers. You are not tied into any contract period. Once you have your self drive hire INSURECARHIRE account set up with insurecarhire, the facility allows you to upload details of the vehicles you intend hiring out. On setting up your account, you will be advised of the daily ‘PAY-AS-YOU-GO’ rates. When entering a hire online, the premium for the period will be confirmed. On acceptance, the certificate of insurance can be printed. When a hirer wishes to rent a vehicle, select from your online account which vehicle is to be hired and add the hirer details, along with the period the hire is required for. The cost of each hire will be debited from your account balance. It is as simple as that. If the car is returned early and the hire insurance no longer required, the relevant credit will immediately be added to your account balance. 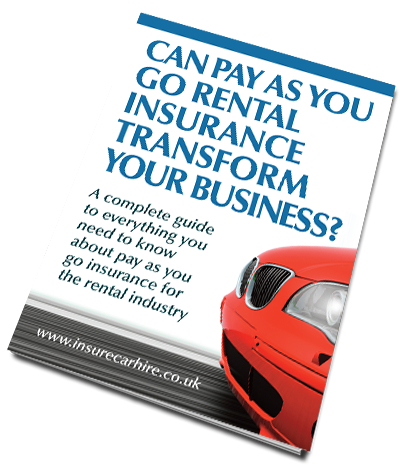 insurecarhire have been insuring self drive hire businesses and vehicle rental companies for many years. We have developed insurecarhire into an online trading facility with many additional helpful benefits aimed towards the efficient running of a self drive hire business. insurecarhire can cover almost any type of vehicle, as a general rule, if you hire it, we insure it. We have the unique ability to underwrite risks that may not be described as ‘normal’ risks. We can be flexible and build a daily rate specific to any vehicle rental business model. This list is not the only rental vehicles we can insure, so if you have another type of rental vehicle you require to be covered by self drive hire insurance, please contact us directly with details and we will be able to confirm if we can cover it. We have a unique ability to underwrite risks that may not seem like ‘standard’ self drive hire insurance cover and we can form a specific insurance plan to match your required business model. An important term and condition of using the insurecarhire facility is that Off Hire Insurance cover is also in place, to cover the vehicles whilst they are not being hired out. The vehicle rental business will need to have this cover arranged elsewhere & produce evidence of this cover being in place.